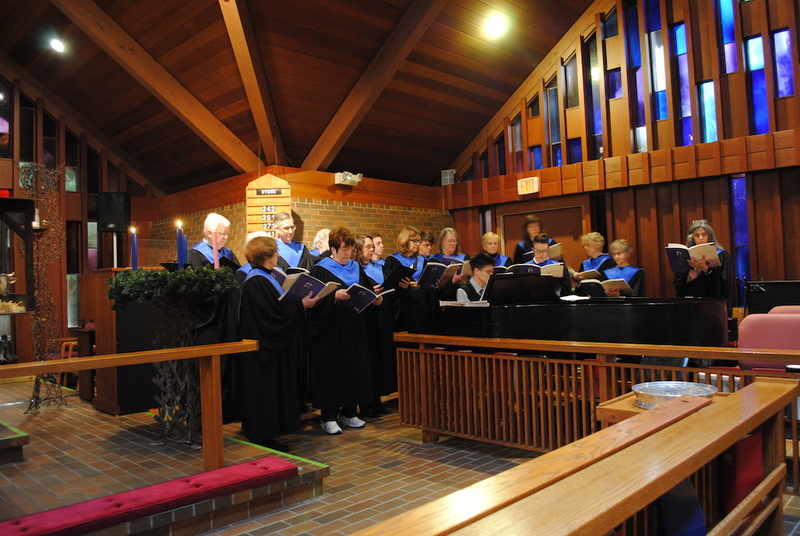 The Trinity Choir is the adult vocal choir for the 11 a.m. service. Weekly rehearsals are Wednesdays at 7:30 p.m. and Sundays at 10:00 a.m. from September through May. The Trinity Choir sings a rich variety of music including classical masterworks, spirituals, contemporary Christian, gospel, and more. 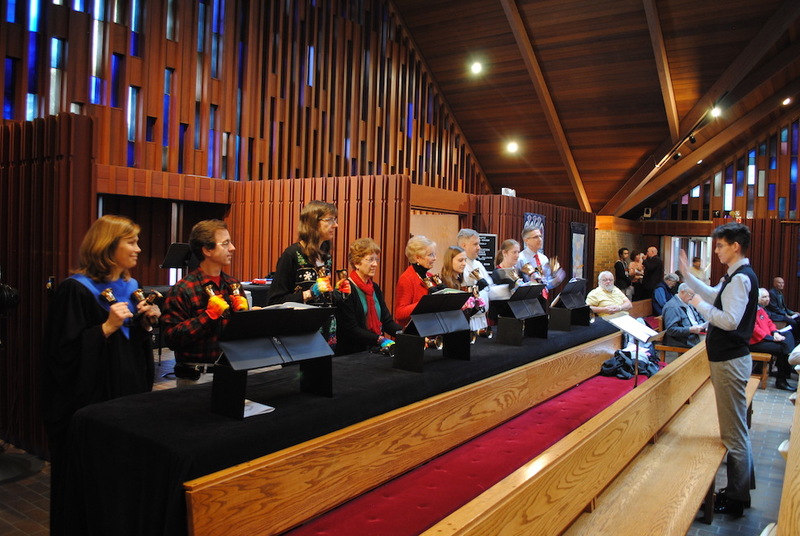 Whether the Trinity Choir is singing in Latin or swaying and clapping, they offer music that was inspired to praise God and uplift your worship. All singers aged 9th grade and up are encouraged to join anytime! If you love to sing and enjoy a fun night out, join us! Talk to our Music Director. Our Trinity Brass Choir plays on the high feast days of Christmas Eve, Easter, and Reformation. They are also part of the fun at the annual TrinityFest in late spring. Rehearsals are run by its members and happen in the weeks preceding a performance. Any brass player aged 9th grade and up is encouraged to join anytime! Do you play a brass instrument? OK with few rehearsals? Like to have fun? Talk to our Music Director. The guitar band adds a contemporary musical sound to our worship services on the second Sunday of each month and more often during the summer. Consisting of guitar, bass, piano, with melody support on violin or concertina, the band reminds us that the music that praises God is not limited by anything! Do you play an instrument that would fit the band? Join us! Talk to our Music Director. 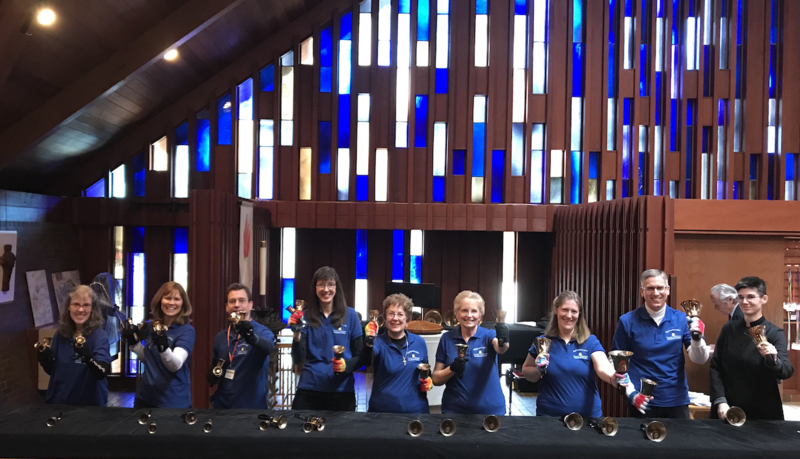 Bjällerklangen (which is Swedish for "the sound of bells") is the adult handbell choir at Trinity. The sound of bells have been pealing at Trinity for over thirty years! The group also participates in the MA Spring Ring festival. Weekly rehearsals are Thursdays at 7:30 p.m. from September through May. Bjällerklangen rings all major festival days and other times throughout the church year. This unique ensemble brings majestic, joyful, and peaceful music to worship. All ringers aged 9th grade and up are encouraged to join anytime! Do you have a good sense of rhythm? Can you follow two notes? Love to have fun? Join us! Talk to our Music Director.